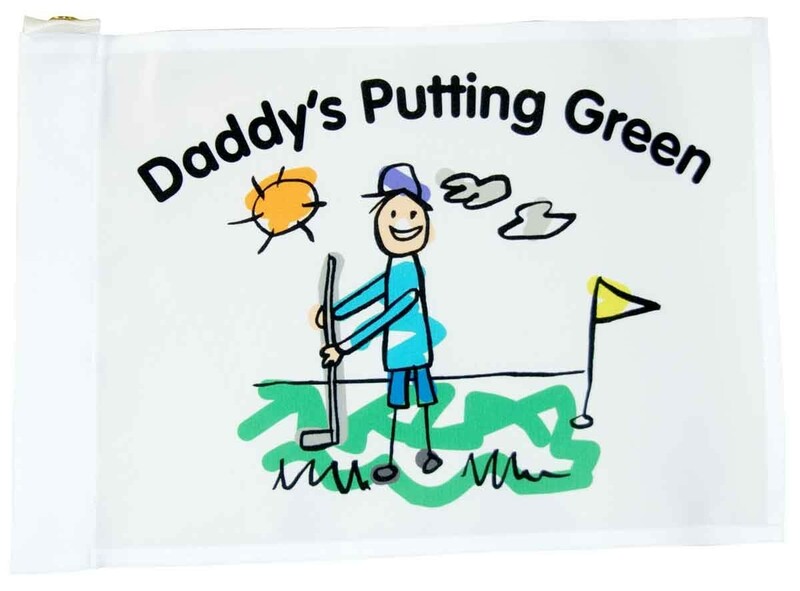 Celebrate your love for your father with an adorable Daddy's Putting Green flag. The tube style Insert flag is designed to slip over the top of a standard 7-foot golf pin. The flag is regulation size: 14 inches X 20 inches.